Madera Cardholders - Cal-Mil Plastic Products Inc. These Madera Cardholders are a great way to draw in the eyes of customers to view drink specials, menus, and advertisements. 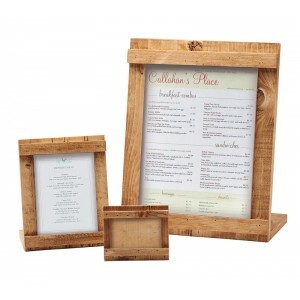 Constructed of unique reclaimed wood, these cardholders offer a warm and rustic feel to any environment!